If you have a film, some talent, and a dream, there’s just no place better to make a name for yourself than the Sundance Film Festival. It should come as no surprise that many of these filmmakers would be all over Instagram. The platform offers a chance to express unique points of view, without the million-dollar budgets. Here are a handful definitely worth following. Be warned: Those suffering from FOMO will experience heightened symptoms. While his long-standing relationship with cinematographer Matthew Libatique has shaped the look of his films, Aronofsky’s Instagram account proves he’s got a visual style all his own. Swiping through his collection of beautiful photographs feels like strolling through an art gallery. Sure, there’s the occasional grainy selfie with a celeb, but mostly the Pi and Black Swan auteur’s account conveys his passion for politics and art. Now what’s up with that shot of Schwarzenegger’s director’s chair! Need more pep in your step? Share a righteous fury to make the world a better place? Head on over to DuVernay’s Instagram. Selma’s producer/director — who made her name with the Sundance hit Middle of Nowhere — fills her account with inspirational quotes (“Our lives are part of a majestic tapestry that goes far beyond, before and after us.”) and fortifying messages (‎”When there is no enemy within, the enemies outside cannot hurt you.”). And so much Oprah! Something tells me Gayle is not a fan. With Clerks, Kevin Smith became one of Sundance’s earliest breakout stars, turning this former convenience store clerk into a brand name. Now, with podcasts, TV shows, and an excessively active Instagram account, Smith is as much a personality as a filmmaker. That works for us. A quick follow lets you live your fanboy dreams, sneaking a peak at what life is like when you’ve got the film cred to hang with Hollywood heroes, and help make your daughter’s dreams of stardom come true. This writer/performance artist/woodland-sprite popped up at Sundance a few years ago with The Future, a relationship dramedy narrated in part by a talking cat. July’s Instagram presence is equally as whimsical. A virtual stroll in July’s thrift store shoes, her account is a florid splash of color, artistic invention, and cool celeb friends. Who else live tweets a visit to the dentist and shares Rihanna selfies? Like ridiculously irreverent fun with a hearty dose of New Zealand charm? Then Taika’s Instagram account is worth a gander. Whether he’s celebrating date night at Sister Act: The Musical, showing off his collection of E.T. posters, or drawing infantile sketches for Thor, Waititi always shows a visual flare and a good-natured sense of humor that will brighten your day. For Soloway fans, it should come as no surprise that her Instagram account is a gender-bending tour of progressive social issues, silly fun, and cool hipsters who look like they would never hang out with you. Whether she’s chilling with Caitlyn Jenner, visiting the White House, or giving us a sneak peak of Transparent, Soloway somehow captures her friends looking totally chill and absolutely perfect, shot after shot. One look at Johnson’s Instagram account and you will understand his meteoric rise in Hollywood. A beautiful collection of black and white photos, landscapes, portraits, and architectural shots — along with some truly striking glimpses at Star Wars: Episode 8 indicate that Johnson has both an artistic eye and a gift for storytelling. Equal parts precious and populous, his account echoes everything that makes a Johnson joint, from his Sundance breakout Brick to what we’re sure will be an incredible take on that galaxy far, far away. Gillian Robespierre’s debut feature Obvious Child was an attempt to pull back the curtain on real women’s lives. Her online presence does the same thing, but with the filmmaker herself center stage. Funny and crass, but with a tremendous amount of heart, Robespierre isn’t shy about sharing her joy and frustration as an auteur, a new mother, and all-around cool chick. This isn’t an account of beautiful sunsets and curated photographs. This is real life, and it’s pretty damn funny. Wain seems to have a pretty terrific life. He’s constantly surrounded by his comedy buddies — making cool projects, putting up cool shows — and just goofing around in zany ways. His Instagram account is a joyous, goofy walk through his life in comedy, with pics from the sets of Childrens Hospital and Drunk History, throwback photos from his early days with The State, and adorable family portraits that will make you want to be his bestest friend. Based off of his Instagram account, director Bryan Singer is the Jay-Z of nerdy blockbusters. Whether he’s partying on yachts, flying around in private jets, or just surrounded by the nubile young men, Singer is living his version of the good life and then some. He’s come a long way from his Sundance debut, the low budget thriller Public Access. Now he’s having Thanksgiving dinner with Patrick Stewart, getting mobbed on the red carpet and partying with a full compliment of *NSYNC members. 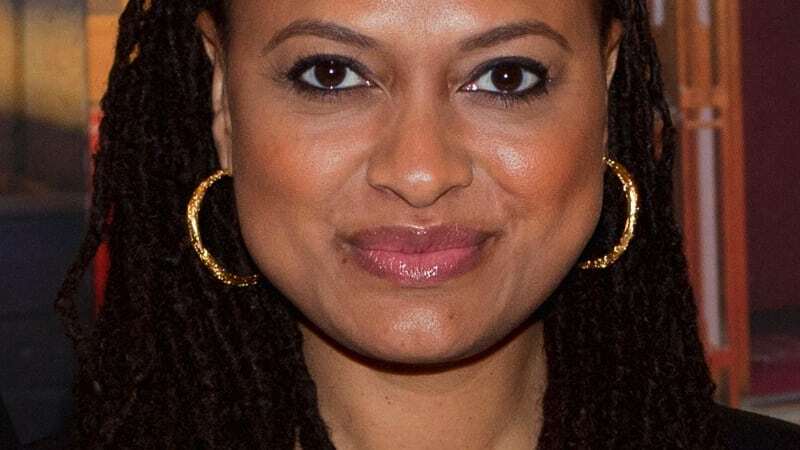 Photo Credit: Public domain image of Ava DuVernay. Brian Steele is a writer living in Los Angeles. 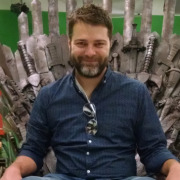 He's written and produced boatloads of comedy content for companies such as Funny Or Die, My Damn Channel, FreMantleMedia, Comic-Con HQ and TruTV. His byline has appeared on IFC.com, Splitsider, and The Interrobang. You can check out his work at HoltandSteele.com.